Maybe it’s always this way, or perhaps I’m just more alert this year, but everywhere I look, I see stress. Anxiety. Depression. Grieving. Hard stuff. And coming straight out of Christmas with a slew of unmet expectations, many people feel depleted and defeated. There’s a lot of pressure over the holidays, isn’t there? Not just on Christmas day, but the entire month of December and bleeding into January. Actually, the pressure increases exponentially in the new year, when, after coming to terms with all our faults, all our failed efforts to do better or love more or spend less or whatever–we determine to try again. To make a plan this time, and maybe even to write that on a slip of paper, turning our goals into New Year’s resolutions. Because then we’re sure to keep them, right? Ha! Am I the only one that finds this cycle exhausting and self-defeating? What if we did away with resolutions all together, and instead determined to walk just a little closer to Jesus each day. What if, instead of drawing a line in the sand promising that 2019 will be different, we focused on moving forward? Taking small but steady steps? Because, honestly, that first step is the hardest. In fact, it’s hard enough, without adding a bunch of expectation to it. But once we take that first step, every step after becomes easier. So what’s the first step? For me, meditating on and praying Scripture, because I’m convinced, the more I think like Jesus, the more I act like Jesus. Perhaps you’ve heard it this way: Right thinking equals right actions. Romans 12:2 reveals this when it says, “Do not conform to the pattern of this world, but be transformed by the renewing of your mind. Then you will be able to test and approve what God’s will is—His good, pleasing, and perfect will” (NIV). Meditating on Scripture is more than reading a passage in the morning then going about one’s day. It means pausing to really take God’s Words in, praying that He’ll help us live it, and repeating these steps throughout the day. 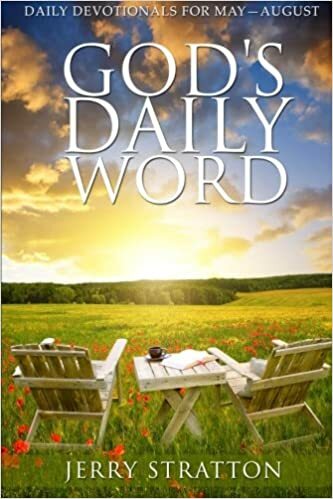 Eventually, God’s Words will become a part of us–internalized, and He’ll use them to speak to us, to guide and correct us, and before we know it, our behaviors have changed and we’ve become a bit more like our Savior. This year, this is my plan, and I’m not waiting until January first to begin. Starting today, I’m determined to lean in a bit closer to Christ, to carve out consistent time throughout the day to connect with Him, and to allow His Words to penetrate deeply, changing me from the inside out. I invite you to join me. About the author: Jennifer Slattery is a writer, editor, and speaker who’s addressed women’s groups, church groups, Bible studies, and writers across the nation. 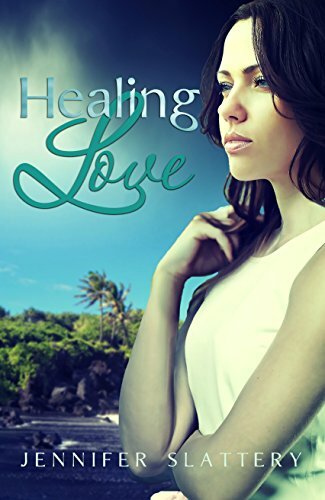 She’s the author of six contemporary novels and maintains a devotional blog found at http://jenniferslatterylivesoutloud.com. She has a passion for helping women discover, embrace, and live out who they are in Christ. As the founder of Wholly Loved Ministries, (http://whollyloved.com) she and her team partner with churches to facilitate events designed to help women rest in their true worth and live with maximum impact. When not writing, reading, or editing, Jennifer loves going on mall dates with her adult daughter and coffee dates with her hilariously fun husband. Join the conversation: Do you have any tips about meditating on Scripture that you can share with us? This was the Scripture that popped into my mind as I wept at the foot of my bed. Our son, who had been diagnosed with epilepsy, had just endured a terrible seizure. While my husband and I had planted a church in Texas our son had to be heavily medicated for epilepsy. On that day in particular our six-year-old-son had just suffered yet another seizure. Afterward I fled to my room to tell God I’d had enough. Enough of the seizures and enough of serving Him––if He couldn’t even heal our boy. I knew God loved my son. I was confident He was able to take all things and work them together for good (Romans 8:28), but after four years of waiting in desperation, I was ready to give up. Psalm 119:11 says if we hide God’s word in our hearts, we won’t sin against Him. In that time of despair, God’s word did not return void––1 Thessalonians 5:18 accomplished that for which it had been hidden in my heart so many years ago. God’s word was reminding me to resolve to be thankful––even when what God allowed didn’t make sense. Maybe you’ve been in my shoes? At the close of this year can you look back and see a propensity to be thankful––even when life doesn’t make sense? While it’s tempting to give up on God when you cannot make sense of a trial He allows, He truly is the only One who can make good of the difficulty in your life. For me, when I realized God was calling me to trust Him––and thank Him—for my son’s seizures, I had a choice to make. I could either harden my heart against His beckoning voice, or I could humble myself under His mighty hand, and choose to say thank you––even though my heart did not feel thankful. Once I let go of my ungrateful attitude and released my fears, what if’s and if only’s, God slowly began to show me how He would make good come from the trial. As our church’s praise band practiced, we started to notice how our son was drawn to the music and the musicians. Over time we saw that any instrument our son picked up he could learn to play. Since our son was heavily medicated he wasn’t interested in playing sports or other activities, so he devoted most of his time to learning to play instruments. We’d hoped to one day hear the crowd glory our son’s athletic accomplishments, but as our boy grew up we watched God prepare him to bring the crowd to glory in His Son’s accomplishment––through worship. Our son grew up to study music, traveled with some well-known Christian bands, and now works as a worship pastor. Oh how God knew what He had planned for our boy so many years ago. And He knows the plans He has for you as well. Whether or not your life made sense this past year, if you resolve to thank God and trust Him in the coming year He can give you glimpses of His purpose and plan for your trial and you’ll have no regrets. About the author: Rhonda Stoppe is the No Regrets Woman with more than 30 years she’s helped women build no regrets lives by mentoring, speaking and writing books grounded in Scripture and easy to read––like you’re visiting with a friend over coffee. She speaks and appears nationally on radio including Dr. James Dobson’s FamilyTalk, Family Life Today and Focus on the Family. She and her husband speak at marriage conferences, MOPs and homeschool conventions. Evangelism is her sweet spot. You can find Rhonda on Instagram, Twitter, FaceBook, and YouTube. Join the conversation: Is there something in your life that doesn’t make sense to you? My father has affectionately called me his Cinderella for as long as I can remember. But my story, unlike the fairy-tale Cinderella, is not a tale of servant girl eventually living happily ever after with her prince. Rather it is a tale of experiencing brokenness to redemption, and living out the reality of being redeemed. I don’t do it perfectly, or as Paul said, “Not that I have already obtained all this, or have already arrived at my goal, but I press on to take hold of that for which Christ Jesus took hold of me” (Philippians 3:12 NIV). I long to do the same, to live out my relationship with Jesus before the rest of the world. Reflecting redemption can be challenging with the kind of noise that has been deafening as of late. It was really hard to not jump in and join the rants and raves on social media about the recent election. I read, listened, watched and prayed. Such division and hostility. It makes me sick and sad all at the same time. Today was a fresh reminder of that as we had our windows worked on by two repairmen. One had an accent, and I asked him where he was from. He hesitated and said he was originally from Mexico. As we began to talk, he shared with me how he loved his job, but recently he was sensing hate and fear from various clients. Lawns were littered with signs of campaign supporters that he knew were reproachful about his heritage. I sadly assured him that in my home, he was welcome to express his thoughts and opinions. God is in the process of redeeming us even in the face of the noise and madness of our world. It is a manifestation of just how patient He really is. I actually struggle with God’s patience at times. And yet, I know it is a part of the narrative that is being written on His plan of redemption for the world. I ask you, can we walk as redeemed people and practice the humility that Jesus lived? Can we, in our bantering back and forth, carefully choose to state our opinions with courage, and yet sprinkle them with kindness? As I watched this scene, I envisioned presenting myself to the Prince of Heaven: Will you take me, as I am, each and every day? This is the redemption God gives us through His son Jesus. We can offer nothing to Him but flaws and failings. He redeems us and creates in us a new life. We only have to be willing to admit our need. Our redemption then comes full circle as we wake up each day with confidence, believing that our lives matter and can make a difference to all we encounter. It really is a Cinderella story. About the author: Cynthia Cavanaugh is the author of five books, including Anchored, and is a speaker, life coach, and leadership professor at Trinity Western University. She knows nothing about coffee and is a self-proclaimed tea addict who loves connecting with women helping them to flourish. Join the conversation: Do you have a favorite verse that speaks of God’s love for you? It was a simple act of kindness, but its effects continue to ripple on into people who never knew its giver. All it took was a bottle of water in the hands of a man not just willing to give but prepared to do so. We met him on a hike my husband and I had no intention of taking. We just wanted to look around, but one scenic view led to another, and soon we were miles from the car, beneath the desert sun on a trail headed to the summit of Camelback Mountain. No map, no water, no plan. A man coming down the trail stopped to offer a bottle of water. He explained he always carried extra for sharing. We never knew his name. The interaction took less than two minutes. But his kindness is remembered. The wisdom we gained that day—and there was a lot to be gained—was that willingness to help isn’t always enough. We need to be prepared to help. Thanks to his one small act, we chose to begin to live in this same way. The fruit of his kindness now manifests itself in the lives of our children. They don’t know the stranger on the mountain, not his story or his name. But his gracious generosity continues through their purposeful actions, often to strangers who will never know their names. Who knows how much one small act of kindness on the trail will impact this world? The world tells us that having a long- remembered name is the evidence of a meaningful life. But this is not what the Bible teaches. The world says earn my favor. The Kingdom of God says share my favor. “You did not choose Me, but I chose you and appointed you that you would go and bear fruit, and that your fruit would remain…” (John 15:16 NASB) Not that my name should remain, but my fruit. What is the fruit that lingers on? “But the fruit of the Spirit is love, joy, peace, patience, kindness, goodness, faithfulness, gentleness, self-control…” Galatians 5:22-3 NASB. I’ve seen the love of Jesus in faces of people whose names I’ll never know. But the love of Christ reflected through them is imprinted on my soul forever. It is not the fame of their name, but the love in their hearts that influences everything I think and do. God isn’t glorified by my name being an entry on Wikipedia or any of the countless other things we might chase—even some of the things we chase in the name of Kingdom building. It doesn’t say great fruit, impressive fruit, look-what-I-did-and-remember-me-forever fruit. It just says much fruit. God can do great things with the ordinary things we may think too small to notice. A thousand small acts of kindness may have more impact on God’s Kingdom than anything else we can think to do. Join the conversation: What ordinary act of generosity has had an impact on your life? I’m a cloud girl. I love watching clouds and looking for designs that remind me of something familiar down here on planet earth. Montana has some of the most unusual cloud patterns I’ve ever seen. We have days when clouds look like UFOs or elephants chasing geese, stripes or puffballs. One day I saw angels flying across the sky! I find the constantly changing cloud formations fascinating. But yesterday I saw something unlike anything I’d seen before. The clouds were unexciting, plodding across the sky toward another destination. But across one cloud I saw a perfect, human eye shape, complete with eyelids sketched against the dull background. It was startling, and I wondered how it got there! God knows I am a cloud girl. I sensed that he put that eye in the clouds just for me, to remind me that he is watching my efforts to reach the children of my town for Jesus – that he has a plan and the power to do this work. He will guide me, open doors for me, bring others of like mind to me. He will energize and organize this effort. I do not have that kind of influence. But God does! As I walk in obedience to the instructions God gives, I can trust him to orchestrate everything, to bring me into contact with people whose goal is the same as mine. Will this happen overnight? Probably not. The only thing I know is that he expects me to be faithful in my efforts to reach these children for Jesus, for as long as I am here. Ministry here on earth can feel daunting at times. Each believer has his or her own work to do, and sometimes the trials and resistance of earth cause us to feel like our work does not matter . . . that it is pointless. But that is not God’s message to us! The devil would love us to think that way. He would prefer that we give up. But God is with us! Jesus’ very name in prophecy – Emmanuel – means “God with us”. God did not mean for any of us to minister alone, either. He intends for us to be part of a body of believers who will support us in prayer and words of encouragement. We need the church, the Body of Christ. God did not call any of us to be Lone Rangers. We are to serve him together, loving one another, upholding one another and praying earnestly for one another. As we do, the assignments God has given to us will grow easier because of the mutual support. Not a bad train of thoughts while I had my head in the clouds! God still speaks through His creation. Thank you, Father! 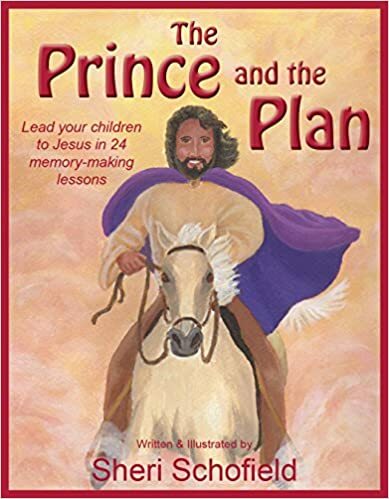 About the author: Sheri Schofield, an award-winning children’s author-illustrator and children’s ministry veteran of 40 years, has just released her new book, The Prince And The Plan, to help parents lead their children into a saving knowledge of Jesus. Sheri was named Writer of the Year for 2018 at Colorado Christian Writers’ Conference for her work in effectively sharing the gospel of Jesus. Her ministry, Faithwind 4 Kids, can be followed on her blog at her website, http://www.sherischofield.com. Questions welcomed! Join the Conversation: What inspiring thing have you seen in creation lately? I felt squeezed. In every direction. Sleep deprived and with more on my to-do list than I could possibly accomplish, pressing deadlines, and an upcoming speaking engagement I hadn’t begun to prepare for, all made me feel ready to explode. Or hide. My brain, held captive by my insecurities and fears, refused to function. At a time I most needed it to shine. I was afraid that I’d fail, and in failing I’d let everyone down. The conference director who had already purchased my plane ticket. Her team who had already sent out their promotional material, listing me as one of the keynotes. Their attendees, who had spent good money on the conference and were expecting to hear a fresh word. And more than that, I was afraid I’d look stupid. As I stared at a blank computer screen, my eyes gritty from lack of sleep, my nerves tightly coiled, I worried I wouldn’t come up with anything. I had nothing. No words. No thoughts. I suppose that writer’s block came from the mounting stress, coupled with sheer exhaustion. In the middle of taking accelerated classes and with an already booked summer, God called my husband and I to something incredibly difficult. Something that took every ounce of strength we had and left me in tears daily. We knew this task was from God. But … what about all our other commitments? I couldn’t simply walk away. But neither could I, it seemed, walk forward. All my insecurities kept chipping away at my strength. So what did I do? I stepped away. To pray. To give this thing, this task I felt ill-equipped and ill-prepared for, to God. And as I sat in His presence, His peace overshadowed my anxiety, and His truth stilled my fears. I knew He’d called me to this engagement, so I decided—yes. I made the choice to trust God to give me the ability to fill this role–as He desired. And I reminded myself that this wasn’t about me. Nor was it up to me. It never is. In fact, it’s when I’m resting fully in His grace and leaning deepest into Him that I find my greatest strength. Walking in God’s strength. Listening, with a surrendered heart, for His guidance, then stepping forward in faith, trusting Him to come through. In John 15:5, Jesus told us how we can live empowered in any situation: “I am the vine; you are the branches. If you remain in me and I in you, you will bear much fruit; apart from Me you can do nothing” (NIV). With Him, in Him, we have everything we need to do whatever He calls us to. Apart from, operating in our own strength, we’ll likely make a mess of things. Is there something God has called you to, something that makes your stomach tighten and your knees wobble? Maybe to initiate conversation with a new neighbor or launch a women’s Bible study? Maybe share your faith with a friend or coworker? If so, how does remembering God will be strong on your behalf, that you don’t have to be, give you courage? What are some ways you can lean into Him and rest in His strength? How do our thoughts play into that? We all struggle with negative thinking, and so often, we become our own limiting factor. We allow our insecurities and fears to hinder our obedience and to prevent us from living out the awesome and life-changing role God hand-crafted each of us to fill. God calls us to greatness. To live courageously. To be life-changers. Join the conversation: What has God called you to that will require courage to obey? Imagine the night the first Christmas greeting rang through the skies outside the quiet town of Bethlehem. There, in a pasture, a few hills away from town, stood sleepy shepherds who were watching over their flocks beneath the twinkling stars. They had no ambitions of seeing the glory of God until their grazing sheep began to glow as glory filled the skies. The shepherd’s shielded their eyes to gaze upon a shining figure who seemed to float above them. “Do not be afraid. I bring you good news that will cause great joy for all the people. Today in the town of David a Savior has been born to you; he is the Messiah, the Lord. This will be a sign to you: You will find a baby wrapped in cloths and lying in a manger” (Luke 2:11-12 NIV). The shepherds trembled and the glory before them expanded until the entire sky was filled with God’s heavenly choir. The angels sang: “Glory to God in the highest heaven and on earth peace to those on whom his favor rests” (Luke 2:14 NIV). The shepherds had never heard such voices, and they were amazed. When the sky went dark, the shepherds ran into town, shouting the good news. The people woke up and marveled at such an announcement. But I imagine one family took a special interest. An unwed mother, still a virgin, and her fiancé, heard the shepherds’ shouts and understood their meaning. For Mary, this Christmas greeting lay in her arms, as she placed the newborn son of God in a manger. She understood why the shepherds came to see the one of whom the angels sang. What a moment. The birth of the light of the world celebrated in the heavens, announced to lowly shepherds, and placed in a feeding trough. Such a visitation of God’s grace came to us so that God could give us the perfect Christmas gift. Because of this night, if we allow, Jesus’s righteousness will cover our sins so we can not only walk with God, but so that His very spirit can rest upon us. So let’s continue to share the Christmas greeting of the angels, not only with our loved ones, but with the world. I too have a special Christmas greeting for each of our dear readers. Thank you so much for allowing us to come into your lives this year, our first year of publishing our Arise Daily devotionals. It’s been a work of love, from our heart to yours. 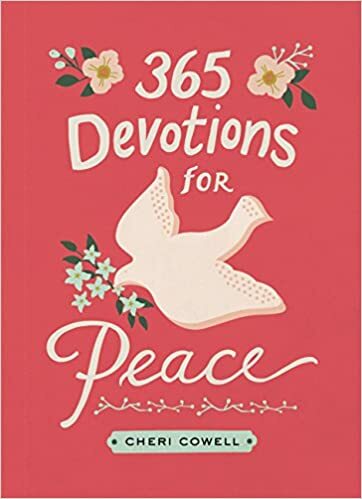 And a special thanks to Julie Coleman for her wonderful work as our editor, Amber Weigand-Buckley for her design work, and Edie Melson for her daily work to make our devotions beautiful and sharable. And also, a very special thank you to all of our devotional writers, all members of the Advanced Writers and Speakers Association. Both you and your vision to love the world, rocks. We all here at Arise Daily warmly wish you a Merry Christmas and a Happy New Year! “Today in the town of David a Savior has been born to you; he is the Messiah, the Lord” (Luke 2:11 NIV). Almost 20 years ago, our mission started Christmas trips to remote villages high in the Andes Mountains of Bolivia where we are missionaries. My husband and Juan, a Quechua young man who was born in the Andes Mountains, began going to villages high above the tree line. These trips had to be made on quads because the roads ended before arriving. Then, continuing on by foot, they reached the final destination––small communities where life is hard, and the people are precious. Twenty years later, we still continue doing this ministry each Christmas, but now with the help of our Bolivian church. Bread is a delicacy in the mountains. The highest regions don’t have firewood, but a little further down the mountain where there is firewood, flour is scarce. When the kids see bread their eyes light up––just like they do when they see toys. But, just as they readily accept the bread, they also accept the Bread of Life. They are hungry for both––bread to satisfy their tummies, and Bread to satisfy their souls. Every year we share the Christmas story in places where many hear it for the first time. Many now know the Lord. In the valley and cities below the mountains live the more fortunate––although many still wait to hear of the Savior. But bread is readily available as well as other delicacies. Here in the valley where I live, many wake up on Christmas morning to the aroma of buñuelos frying in hot oil. What’s a buñuelo, you ask?. The sweet aroma in your kitchen of the finished product of this recipe will transport your thoughts to Christmas in the Andes Mountains. Can you imagine presenting a Bolivian donut (buñuelo) to a mountain child deprived of even bread? But, better yet, presenting the gospel to that child for the first time? Buñuelos with Jesus on Christmas morning! Wherever you live, someone needs to hear about Jesus this Christmas season––and maybe you can share a buñuelo, too. Buñuelos are a popular snack throughout Latin America. While they can be eaten at anytime, Bolivian tradition sees them eaten on Christmas morning with syrup and hot chocolate. Buñuelos are a soft doughy sweetbread that is deep-fried in the same way doughnuts are made, with a similar flavor but a slightly more chewy texture, traditionally served drizzled with a syrup or honey. The buñuelos are often puffy with a crispy crust and air pockets on the inside. In a bowl, dissolve the sugar in water, add the fresh yeast, let it stand for about 7 minutes, then add the salt, anise, eggs and flour, mixing it slowly with your hand until you obtain a watery dough. Let the dough stand and rise twice before you start frying in hot oil. To fry, first spread oil over your hands, take a handful of dough with the fingertips and stretch it into a 4-inch round; rotating the dough occasionally to form a circle. When about to fry, poke a hole in the middle, and put it in the frying pan with a stick (when in the mountains) or the back of a wooden spoon through the hole. Let it acquire a golden-brown color on both sides. Serve with hot sugar cane syrup, molasses or honey (or maple syrup). Note: Some Bolivians prefer to eat their buñuelos covered in sifted powdered sugar. Enjoy! 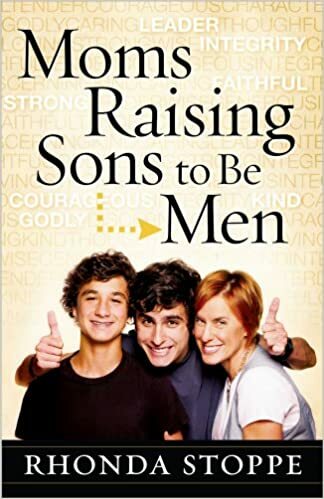 About the author: Peggy Cunningham and her husband have been missionaries in Bolivia, South America, since 1981. In 1999, they founded Rumi Rancho Ministries. Rumi Rancho is their ministry base and home outside the city of Cochabamba where they work with the Quechua people and have a children’s ministry. Peggy is also an author. 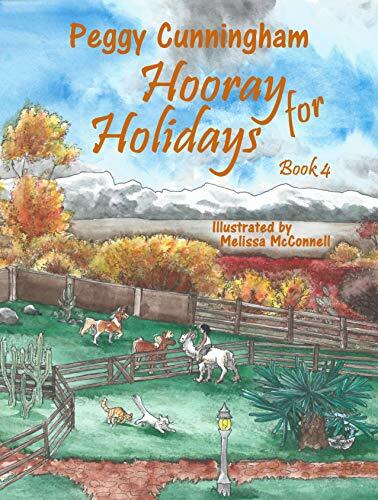 Her devotionals and children’s books are available on Amazon.com, including her newly released children’s book, Hooray for Holidays Book 4: A Veteran’s Day Special Needs Cat, Thanksgiving Blue Mouse, and Christmas Andes Llama. Join the conversation: What’s your favorite Christmas morning tradition where you live? She was probably thirteen or fourteen, which was the usual age at which girls were pledged to marry. Her betrothed was most likely much older: a man who had made his way in the world enough to financially support a wife. A while back, he had come to her home to offer for her. Once he and her father made the legally binding agreement, he returned to his own home to make preparations for the day he would bring home his new bride. She, in turn, put her efforts into learning what she needed to know to be a good wife. It was in this waiting and preparation period that an angel suddenly appeared with earth-shaking news. Didn’t she have questions? The angel had supplied her with only the briefest of details. A betrothed woman found unfaithful to her vows would be viewed as an adulteress, or worse, a harlot. With the angel’s shocking announcement, Mary’s world had been turned upside down. Yet her response was to unquestioningly place herself into the strong hands of the God she loved. How could she do that? I am sure I would have demanded a lot more information before I took that plunge. You can only trust someone you know. Mary’s intimate relationship with God is obvious in her spontaneous praise that we read in Luke 1:46-55, often referred to as the Magnificat. She speaks of God’s faithfulness, holiness, and mercy. Her words are obvious references to several passages in the Old Testament: the Psalms, Isaiah, Habakkuk, 1 Samuel, and Malachi. In the days of little to no formal education for girls, Mary had made it her business to find out about the God of her ancestors. Mary did not have “blind faith.” She trusted a God she already knew intimately. Her faith was based on His character and proven history with His people. And so, when faced with frightening circumstances, Mary was able to completely put her trust in the God she knew. There was nothing “blind” about it. Seeing Mary’s simple, willing response to the angel’s news inspires me to know God on that kind of level. We can’t expect to trust a God we barely know. We have what we need to glean an intimate knowledge of Him. He has revealed everything we need to know about Him in black and white. Each story in the Bible shows some facet of His interaction with people, His faithfulness, or His love. His holiness and power are clearly shown. His wisdom is made plain in its pages. How can we prepare ourselves to trust God? Open our Bibles and dig in regularly. What we will learn about Him will someday enable us, despite overwhelming circumstances, to trust Him. understand and know an unexpected God. A popular conference and retreat speaker, she holds an M.A. in biblical studies. 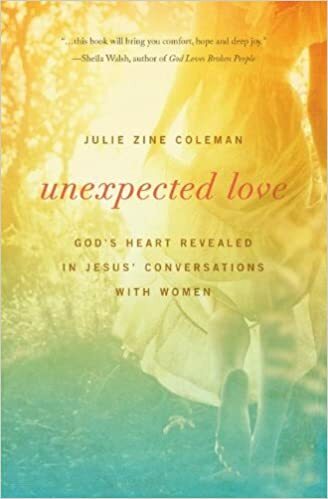 Her award-winning book, Unexpected Love: God’s Heart Revealed through Jesus’ Conversations with Women, was published in 2013 by Thomas Nelson. Julie is the managing editor for Arise Daily. When she is not glaring at her computer, she spends time with her grandchildren, gardening, or walking her neurotic dog. More on Julie can be found at unexpectedgod.com and Facebook. Join the conversation: What character trait of God most enables you to trust Him? As that word rolled around in my head this season, I thought of the anticipation and wonder Mary and Joseph must have felt as they waited for the Christ Child’s arrival. Probably as expectant parents do in the here and now: a mix of joy, hope, and even fear occupying their heads for nine months. There were others that were expecting at that time. Everyone in Israel was anticipating the arrival of a Savior. Some were looking for the signs in the sky as the Magi were, some were rearranging their lives like Zechariah and Elizabeth, and some were living their lives of humility and love like Mary and Joseph. All with expectant hearts. They had been waiting for the Messiah for hundreds of years when He finally came that first Christmas. God chose human beings to bring Him into the world. And God answers back, “Do not be afraid, you have found favor with God…For nothing is impossible with God” (Luke 1:30 NKJV). Not because we are worthy, but because He is. May the atmosphere in our lives and the attitudes we carry in our hearts be made worthy of that most precious of gifts during this Advent season. …The zeal of the Lord of hosts will perform this” (Isaiah 9:6-7 NKJV).